Will they win the double? 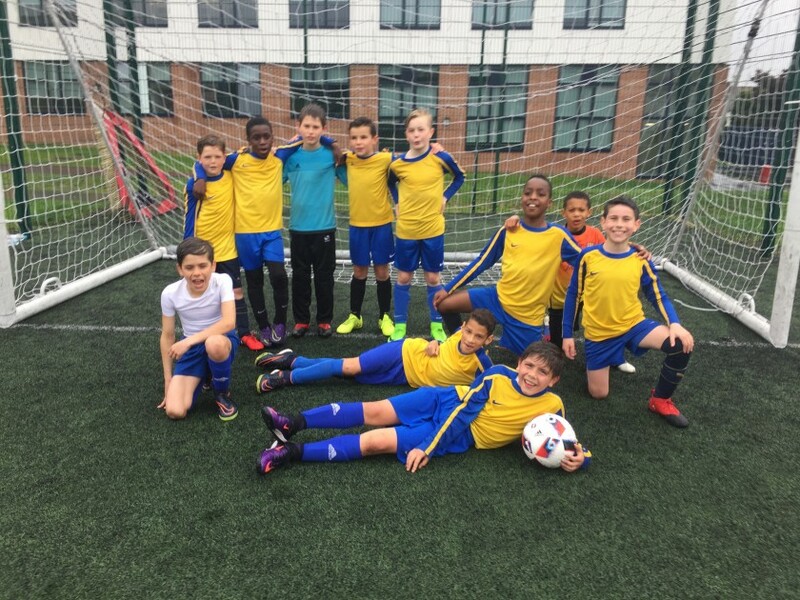 As group winners Churchfields Football Team had to play against the 3 other group winners to find out who were the overall champions of Redbridge. Victory was a must as this would guarantee a place in the league final. With abysmal playing conditions, deluged by battering rain, nothing was going to stop the squad from producing some fantastic football. Although it did take some time for the boys to adapt to the size of the pitch and fully use the width. The score stood as 2 – at half-time against St Anthony’s Primary School. Playing with determination, control and skill the team produced some great football in the second half and Churchfields came out much deserved winners with a 7-2 victory. Squad: Turner-Withington, Milne, Kay, William, K Kilinc, T Kilinc, Massingham, McNally, Thomas-Dace and Adjei-Fordjour.